and 'The Fall of Jerusalem' by DominicMuldowney. ‘Lobet den Herrn’ by Johann Sebastian Bach and ‘Beatus Vir' by Antonio Vivaldi’s setting of Psalm 112 for double choir and soloists. 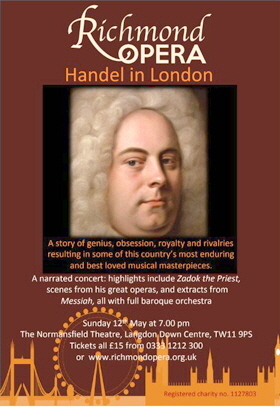 Accompanied by the Hampstead Sinfonietta, who will also be playing Mozart’s joyous ‘Symphony no. 29’. OR on the door at £12/£6. based on Tomás Luis de Victoria's Missa pro Defunctis. Fauré's Requiem and Cantique de Jean Racine. Please find below the doodle for this event - please sign up with your voice part if you would like to be a part of this fund-raising event for St. Catherine's Hospice. There will be copies to hire at a nominal charge. “Reviews of Polyphony's recording of JS Bach's St John Passion with the Orchestra of the Age of Enlightenment include BBC Music Magazine "This new recording’s credentials border on the unassailable" and Presto Classical "It’s remarkable simply because it’s practically perfect in every way". Refreshments will be served during interval. 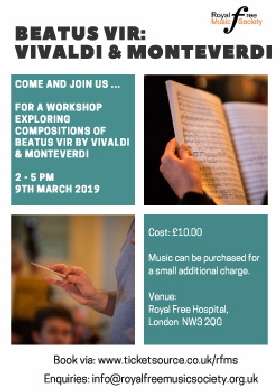 The concert venue is a short taxi trip or 20 minute walk from Burgess Hill main line railway station (or 10 minutes walk from Wivelsfield Station). Car parking is available on streets near the venue. The venue has disabled access. Please contact Stephen Hope if you interested.